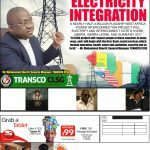 Abidjan, CI, Friday, April 6, 2018: President George Manneh Weah has been in office for less than four months but has already started to show unyielding passion for the restoration of Liberia’s energy sector. 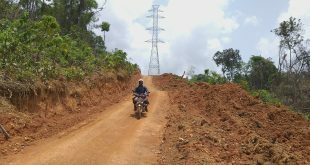 In a country undergoing reconstruction, the Liberian leader has made access to energy for all Liberians a credo. 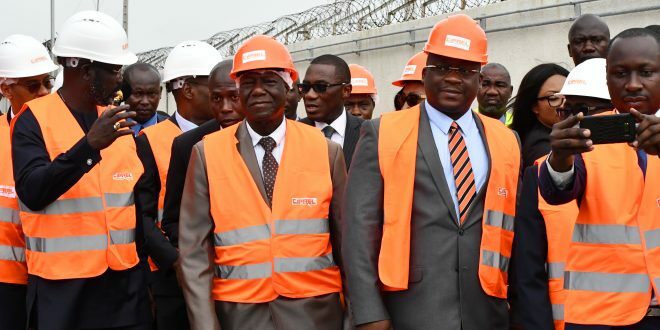 The Liberia leader who concluded his two-day state visit to Cote d’Ivoire was on Thursday, April 5, 2018 taken a tour of the Cote d’Ivoire’s premier power plant facilities of CIPREL. 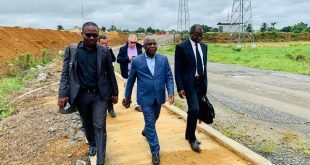 The Vice President of Cote d’Ivoire, Daniel Kablan Duncan and the Côte d’Ivoire’s Minister of Petroleum, Energy and Renewable Energy Development, Mr Thierry Tanoh, accompanied the Liberian leader. 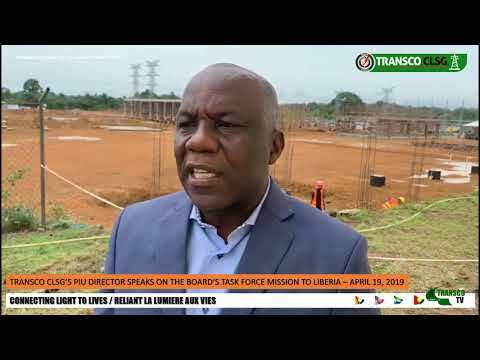 TRANSCO CLSG General Manager, Mohammed M. Sherif also formed part of the government’s delegation to the powerplant outside Abidjan. 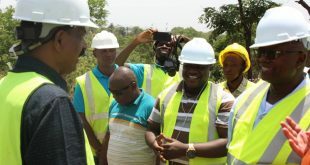 In a brief interview with reporters, President Weah assured the government and people of Cote d’Ivoire his government’s full cooperation on bilateral and other matters with energy exploration being one of its key priorities. 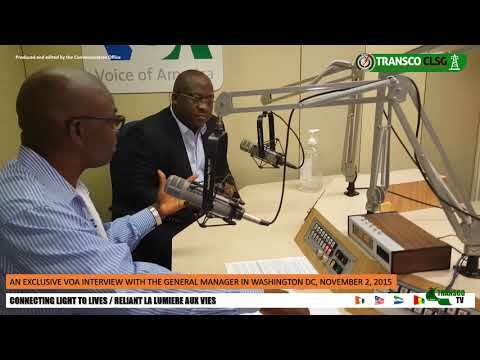 “My people need electricity,” the Liberian leader declared at a press conference organized along with VP Duncan. 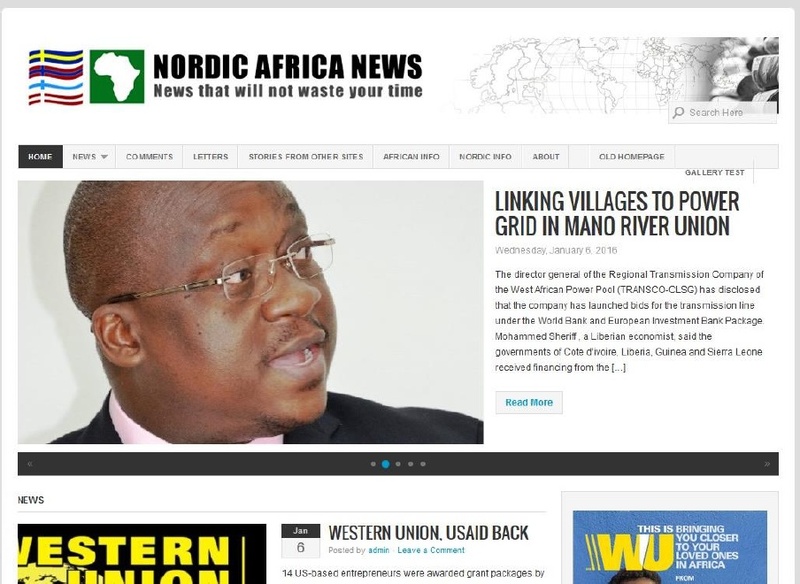 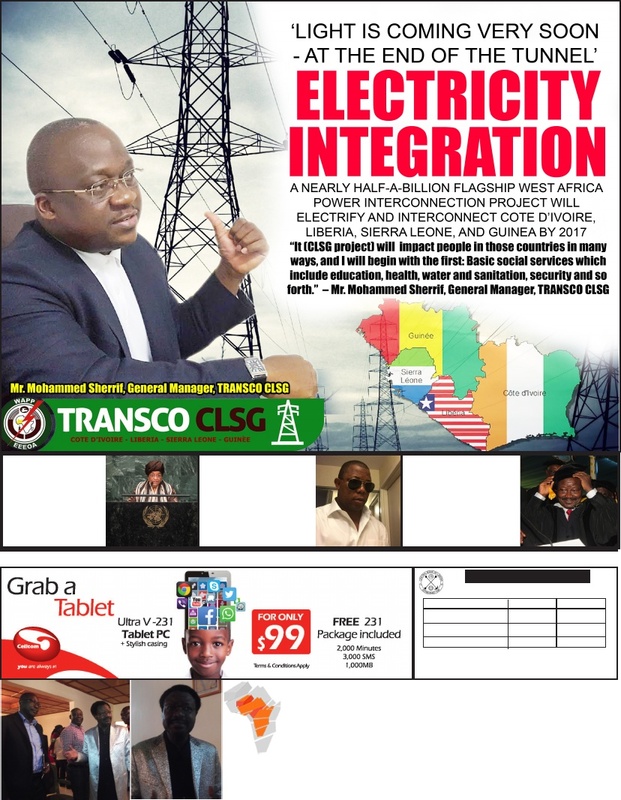 He underlined the urgent need for stable and reliable electricity in Liberia. 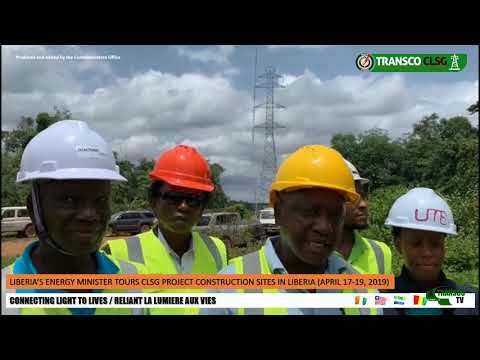 President Weah expressed his happiness for the ongoing CLSG interconnection project which interconnects the electric grids of Cote d’Ivoire, Liberia, Sierra Leone and Guinea. 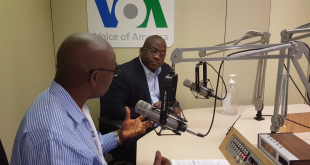 Responding to journalists’ questions, President Weah craved Cote d’Ivoire’s intervention in his country’s energy and other sectors including health. 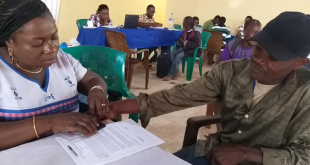 He called on the Government of Cote d’Ivoire to help strengthen Liberia’s energy and health sectors. 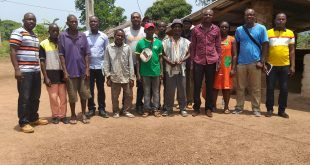 Also, in a previous discussion with his counterpart, Alassane Ouattara Wednesday, the Liberian leader outlined road, vocational education, and agriculture as sectors he wants the Ivorian Government to make quick intervention in. 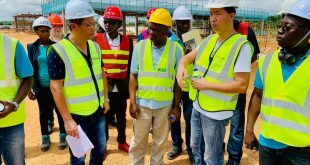 President Weah, who took office on January 22, 2018, has embarked on several state visits to African countries and outside Africa in a bid to promote investment in Liberia. 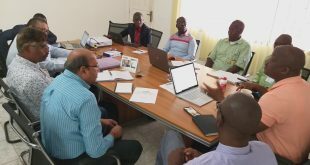 Côte d’Ivoire and Liberia have been developing energy exchanges for several years through the exports of the CIE (Ivorian Electricity Company), another subsidiary of the Eranove Group, to the LEC (Liberia Electricity Corporation). 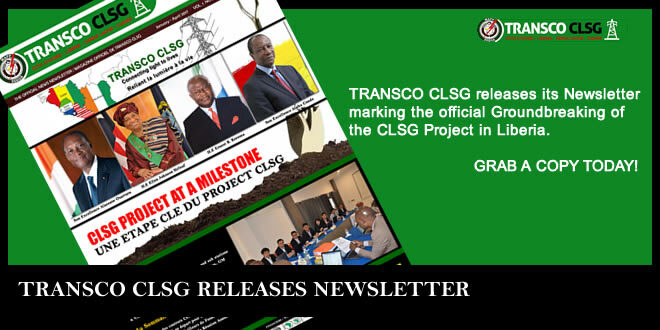 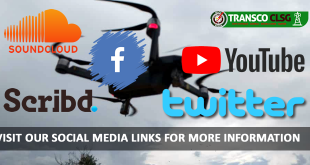 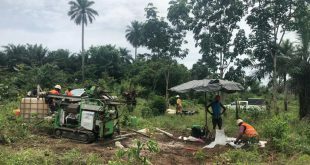 In addition, the West African Interconnection Project between Côte d’Ivoire, Liberia, Sierra Leone and Guinea (CLSG Project) is expected to strengthen energy trade between these countries. 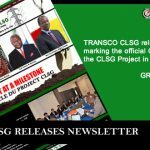 CIPREL is expected to play a key role in this strengthening of regional energy cooperation and the implementation of the CLSG project. 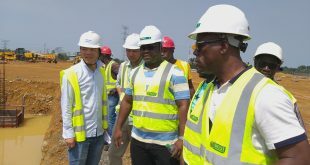 The Ciprel power station is expected to play a key role in this strengthening of regional energy cooperation and the implementation of the CLSG project, said a final communiqué which sanctioned President Weah’s visit to the CIPREL site. 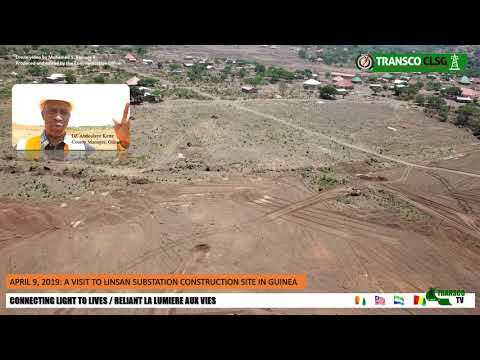 Mr. Tanoh announced that in 2019, 83 MW of electric power will be supplied to Liberia, Sierra Leone and Guinea under the CLSG project. 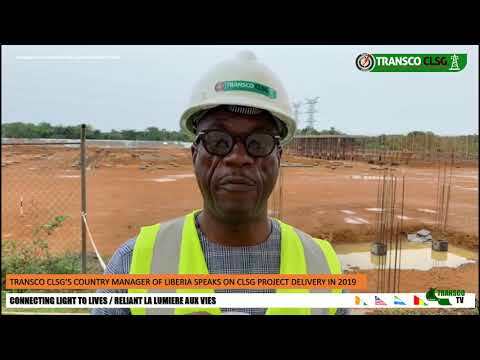 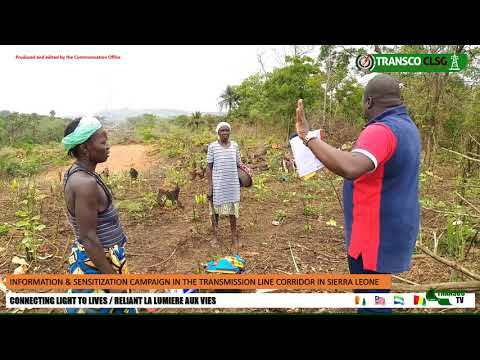 He said the Ivory Coast, Liberia, Sierra Leone, Guinea (CLSG) project consists of the construction and operation of a 1300km of 225 kV transmission line and twelve (12) High Voltage / Medium Voltage (HV / MV) substations located in the four states. 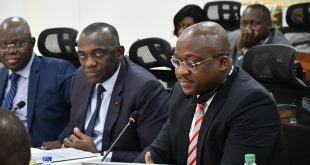 “These priority projects that have just been presented to you to bear witness to the good quality of the cooperation between the two countries, particularly in terms of energy,” the Minister told President Weah.